For the last several years I have worked on a pretty strict hobby budget, put in place by my wife and I once I looked back over my spending for a few months and discovered I was a bit (or more than a bit) out of control. Back then, almost all my spending was focused on picking up cards on eBay. I had searches set up for my major player collections and would try and get every card I needed for all my players. Over the last couple years, I have noticed my outlets for picking up cards for my collection have greatly expanded. I buy and sell on Sportlots. Occasionally I grab come cards off beckett.com. More recently I have attended a couple of estate sales and auctions looking to add cards to my collection. COMC had surpassed eBay as the place I spend the majority of my hobby funds. I have picked up a collection on Craig's List and bought cards off sellers in Facebook groups. I have watched a bunch of case breaks on Youtube but have yet to take the plunge there. One plunge I have taken has been getting into a few breaks with Burl's Sportcards. Burl's primarily offers vintage set breaks but has also offered some Mixer breaks where cards from various sets and years are offered. You buy a spot and the cards are randomed off. You are guaranteed a card and usually there are one or two key cards. 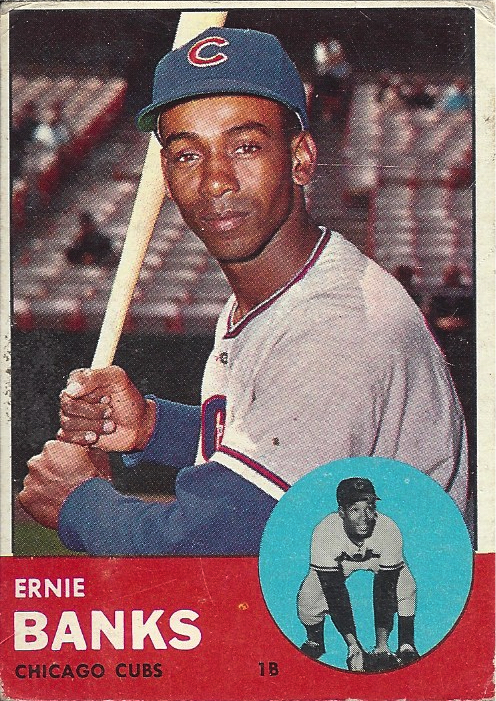 I scored this 1963 Topps Ernie Banks. While I didn't win one of the key prized I do think this was one of the better cards. Looking at comps on eBay and COMC I think I did pretty well from a price perspective of course. This isn't the best conditioned card but I think if I chose to resell it (which I won't) I could get more than I paid for the slot. I have very few 1963 cards in my collection and even fewer of stars so this Banks is staying in my collection and I consider this mixer entry a nice win. Ouch. 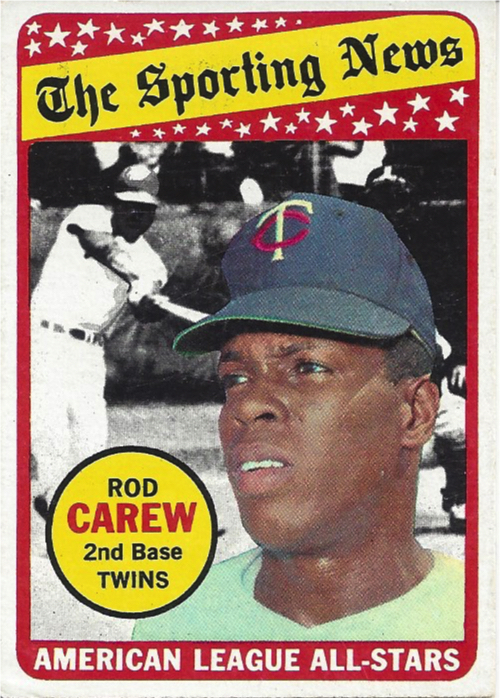 Not only is this a card that sells for less that $10, it is one I already have in my collection, in my completed 1969 set. I love the design of these All-Star cards and while I would have loved to pick up some of the top cards, these mixers are a gamble and I knew the risks. You win some and you lose some. There was a 10 card Mini-Mixer that I passed on recently as I had most of the top cards already in my collection. There is a Pre-WWII Mega Mixer coming up soon that I am eager to hear the details of and hope to enter and a few other 50s and 60s set breaks I am considering entering coming up. I have really enjoyed expanding the outlets to secure cards for my collection. Huh, I've never heard of a mixer like this before. Sounds better than purchasing a lottery ticket though, because at least you come away with something! I keep seeing these people's vintage set breaks on Twitter, I keep thinking that I might try and buy a spot in one of them, but I'm so afraid of paying like $10 only to end up with a 50 cent common card. Breaks are such a gamble... especially modern cards. Even if you do hit something big, you still have to sell it. People that get heavily into breaks are usually addicts. But that Ernie Banks is gorgeous! I've pretty much sworn off breaks like this. However, Burl's is the one where I have always thought I'd make an exception just because those vintage breaks are SO COOL. Never done one of these mixer breaks, but it sounds interesting. I'm trying to watch my spending right now, but I could see myself rolling the dice at some point in my life. Heck... that's what happens every time I go out and buy a blaster box.